Earlier this month, Google announced their new Pixel and Pixel XL smartphones, a new line of devices where the company has taken over full control of hardware (built by HTC) and software (running pure Android 7.1). These new 5-inch and 5.5-inch smartphones are Google’s attempt to take on Apple’s iPhone, priced the same and also similar in design. Just how does the larger Google Pixel XL fare in an unscientific speed test versus Apple’s iPhone 7 Plus? YouTube channel PhoneBuff has released yet another video of his “real-life” speed tests, which puts the launch speed and multitasking of each device to the test. If you haven’t guessed it already, the iPhone 7 Plus knocks the Pixel XL out of the park. iOS and its optimization when it comes to memory management and multitasking is something Android has not caught up to yet. The iPhone 7 Plus finishes the first “lap” in 1 minute and 24 seconds, while the Pixel XL completes its first lap 23 seconds later. The second lap takes the iPhone 31 seconds to complete, while the Pixel XL takes another 1 minute and 10 seconds to finish the tests. Even with its Snapdragon 821 CPU and 4GB of RAM in the Pixel XL, it can’t keep up with the 3GB of RAM in the iPhone 7 Plus and Apple’s A10 Fusion chip. Sure, the Pixel XL is pushing a 2560 x 1440 display, but still it suffers when it comes to loading games versus the iPhone 7 Plus. 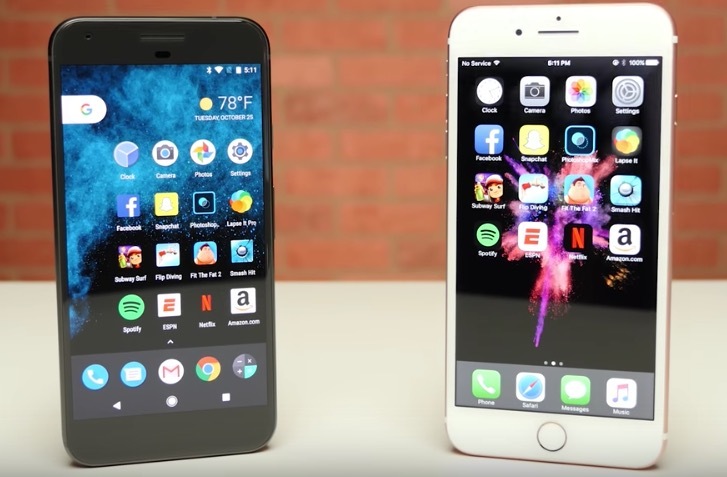 Back in August, PhoneBuff put the iPhone 6s versus Samsung’s latest Galaxy Note 7 in a speed test. Apple’s year old smartphone with 2GB of RAM and its A9 processor blew the Note 7 out of the water. What do you think of this speed test? 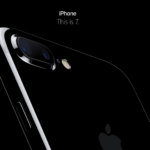 The iPhone 7 Plus and its A10 Fusion will most likely also beat next year’s crop of Android smartphones.